Virginians of their natural rights and make them dependent on big government. 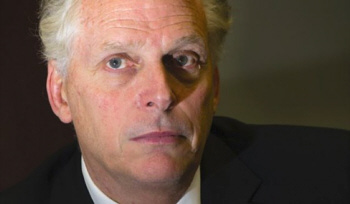 Virginia's radically anti-gun Governor and Attorney General were probably quite pleased with themselves when they spitefully severed concealed carry agreements with 25 states, including all but one of its neighbors. They probably didn't anticipate the backlash they've received, which includes calls to recall or impeach Attorney General Mark Herring, and pushes for legislation that will both strip elected officials of the ability to make such unilateral decisions, and get a little payback. On December 24th we covered the announcement of this decision, which predictably has now invoked huge backlash. Hopefully this has stirred up a hornet's nest and action will be taken to negate such unilateral action.